I’m absolutely obsessed with the concepts of great interior design. And, while I love a clean layout with sparse walls in the right places, great art is my jam. It can be hard to find great quality pieces though, especially when looking for oversized canvas art, right? Wrong – enter Photowall. Photowall is a fantastic Swedish brand specializing in unique art pieces for the home. 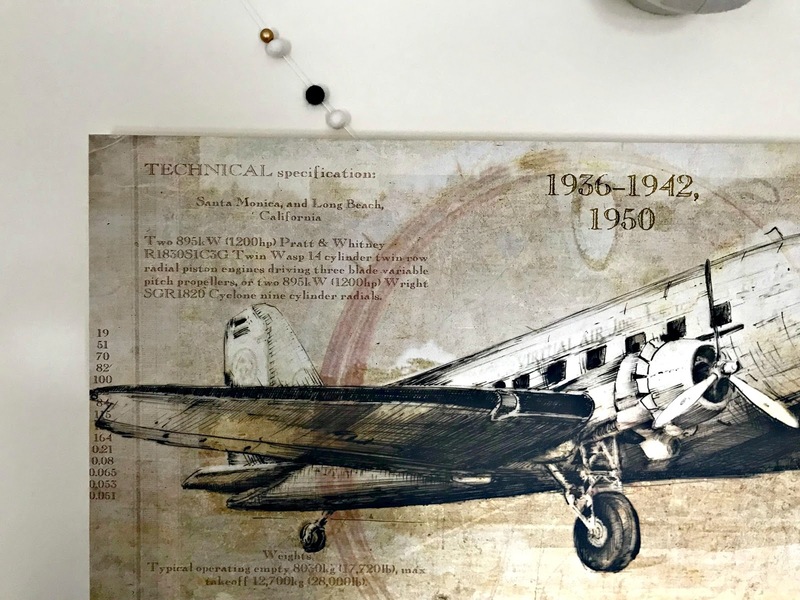 They offer an incredibly wide selection of wall murals and canvases, giving you the opportunity to find – or create – the perfect piece for your home. One of the things I love most about Photowall’s product lineup is that it’s totally possible to use your own images, as well! I know that Ryan and I have a lot of great pictures from our recent trip to South Africa, as well as family photos, that we’re going to turn into canvases now. 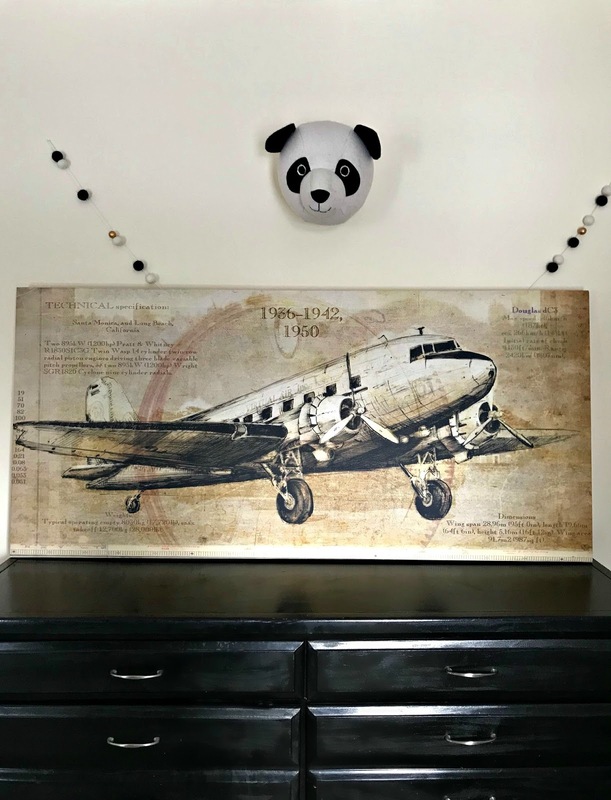 This time though, we decided to order one of their vintage airplane images. 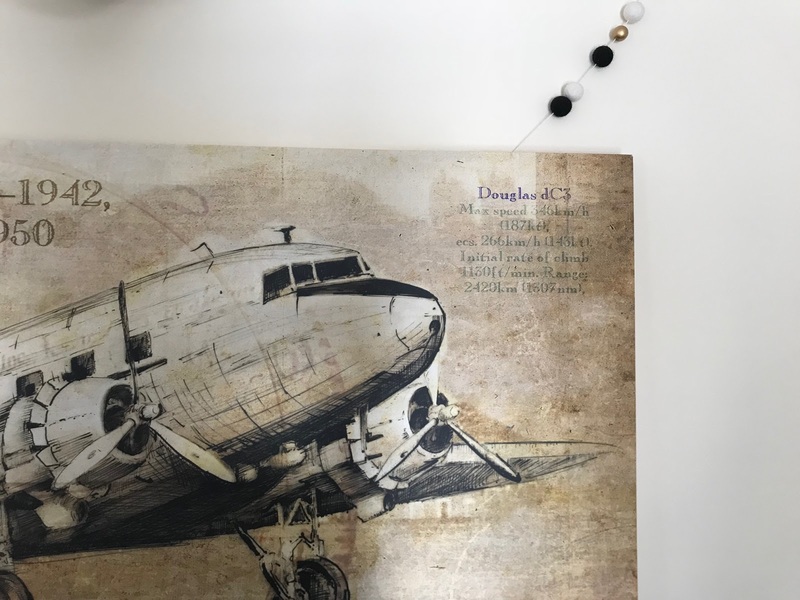 We picked this fantastic canvas of the Douglas dC-3 because it has special meaning for us. First, Ryan’s in aviation, and second, his dad worked for Boeing, so this plan is in our blood. I ordered this canvas on a Wednesday, and it arrived early Friday morning – super fast delivery via DHL! Having struggled with bad shipping from other great companies in the past, this was so refreshing. When it arrived, I knew it had a DIY frame, so I was a little daunted. Much to my surprise though, it was incredibly easy to assemble. I had Ryan help me to make sure it was fully-aligned, then we set to work. 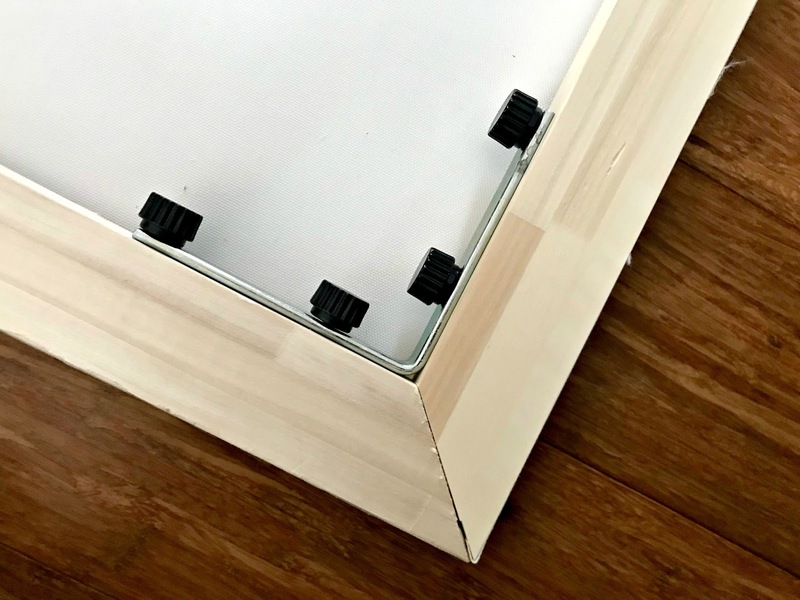 It took maybe 15 minutes to completely finish the canvas on the frame, and the end result is incredible! It’s sturdy, looks professionally-done, and it’ll complement any room. Since we’re moving in two months, I didn’t want to hang it just yet, but it fits perfectly in the boys’ monochromatic room. 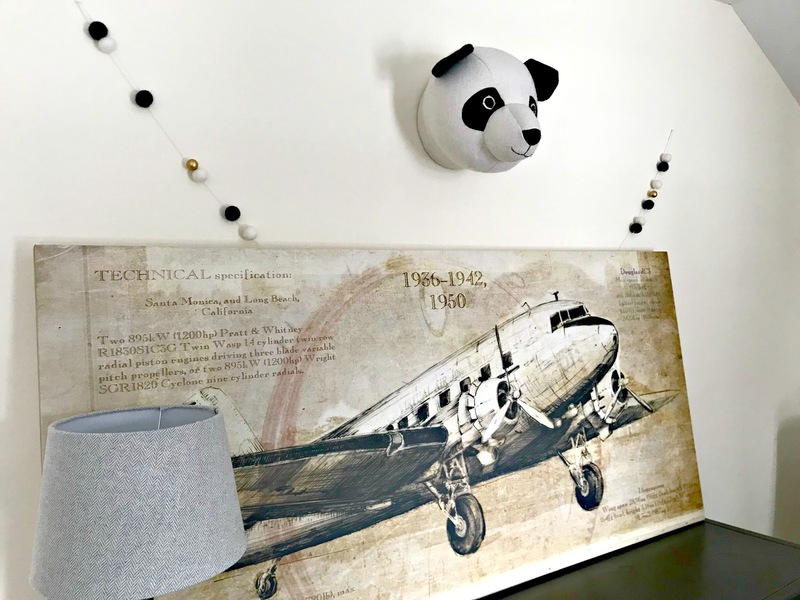 We’re turning it into an airplane-themed space, so this worked well with colors and style. I know my aviation-loving little men are going to swoon when they see it! Most of all though, I’m impressed that Photowall fills a void in the market for great art. I love a good picture frame, but there’s something about canvas that’s classic and larger-than-life. This print is fantastic quality, on thick canvas, and the colors are completely flawless. Ryan’s rarely enthusiastic about the decor I get for our home, but he flat-out told me that we need more – and you don’t have to tell me twice! Here’s the best part…I have a discount for all of you! 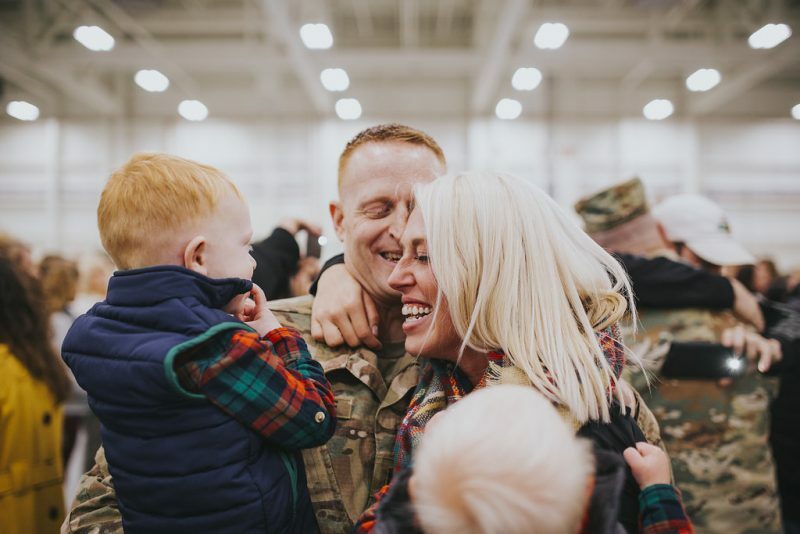 Photowall is offering a limited-time 20% off ANY print in their store. Simply visit Photowall, and enter the discount code: LovingLifeMooreCampaign2018. Let me know if you order and how your experience with this great company is…I absolutely loved it and can’t wait to get more! Enjoy! *I was provided a free canvas in exchange for an honest review and feature. This, in no way, affected my opinion or review of this product. Linking up today with Momfessionals and Smidge of This for Friday Favorites & Five on Friday.